What is the Zodiac? This band of constellations in the heavens reaches up to seven or eight degrees on either side of the ecliptic. The ecliptic refers to how the Sun appears to travel when viewed from the earth. From the first sun sign of Aries to the last sun sign of Pisces, the night sky is a magnificent show of stars, planets, comets and constellations that give us inspiration, beauty, omens and wisdom. If the earth is indeed in tandem with the heavens in guiding man to hidden spiritual truths, then it is easy to believe why the better part of our ancient ancestors' life was spent in perfecting the study of man, destiny and soul through the earth's movements, the heavens, and the moving and immovable heavenly objects. The zodiac, which is from the Greek zodiakos kyklos or "circle of animals," provide us with the 12 archetypal symbols that are widely popular today. According to the Greeks, these symbols cast a significant force of good or evil on a man's emotions, undertakings and destiny. Many academics claim that astrology, its symbols and the 12 divisions of the night sky were not meant to be taken literally and used for personal guidance. They say that the ancient Egyptians used astrology, the planets and the stars for far more advanced spiritual and sophisticated reasons other than mundane divination. Sadly, this wisdom is now lost to us. 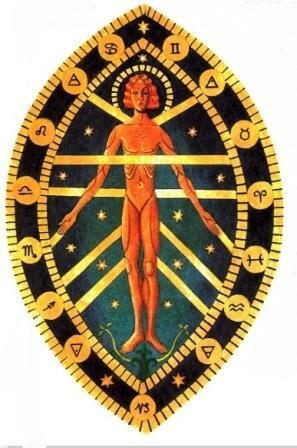 Many think that astrology is a pseudo-science and use it only for amusement. Perhaps someday more artifacts and studies will uncover the real deal and allow us to access the hidden wisdom of astrology. Planning and scheduling a major task, such as starting a business or changing careers. Providing the opportunity to look at yourself and gain insights into yourself. When you evaluate yourself honestly based on your astrological profile, you can have a great platform to initiate the necessary changes for the better. Each zodiac symbol delineates its own strengths and weaknesses in amazing detail. It challenges us to observe where we fall short and change it, or gives us confidence when we consider our good points. With astrology, we can strengthen our will and determination by following it or, in the case of not-so-great astrological readings, by defying it. We end up being better either way, don't you think? As you gaze at your personal symbol, may you remember your life purpose and become empowered to fulfill your destiny! Return from Zodiac to the Astrology Symbols page? You can also read more about Astrology here. OR access the Symbolisms home page here.